CAN YOU COACH OR MANAGE A REP TEAM? 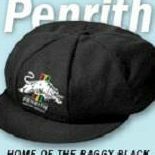 The PJCA are looking for coaches and managers to support our 2018-19 Representative teams. Have you got something to offer?? Please complete our online "Expression of Interest" form.